EUGENE — O’Hara School students could wear jeans instead of their regular school uniforms one day this fall. The catch? The price was $1 per student. The beneficiary? 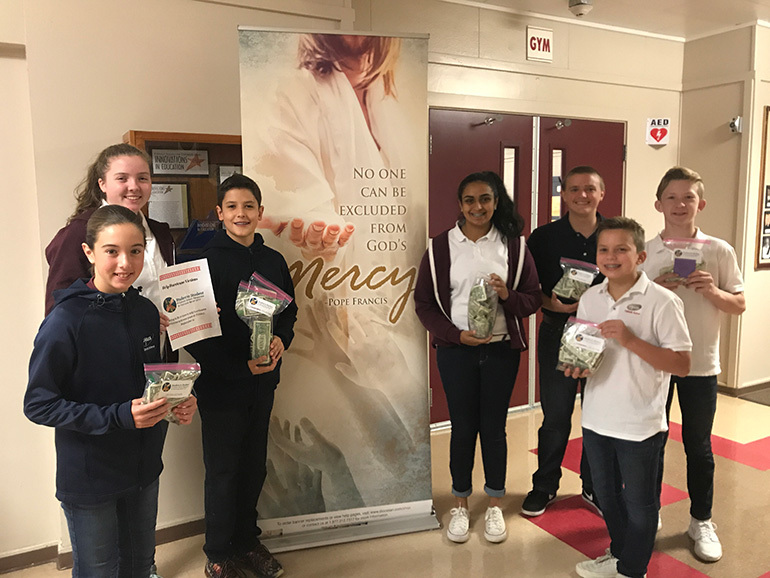 The funds raised — $1,160.17 — went to a student-to-student campaign initiated by the National Catholic Educational Association. The national campaign asked every Catholic school student around the country to donate at least $1 to help Catholic schools impacted by the recent storms. The funds would help rebuild, reopen and re-enroll students. O’Hara collected more than $2 per student.